Last week on Friday I decided that on Saturday I would go to Italy, it's really not as dramatic as it sounds as my extended family were already going and I had decided to stay at home to get some work done for my September 31st deadline. But things don't always go as planned and sometimes you have to change your plans quite drastically. Which meant I had about two hours to pack- almost impossible for me, get to the airport and get on a plane. Luckily the place I'm staying at is really nice and it's been good to get away, even if I did bring my degree work with me and every book that I've been sent to review over the past month. Sometimes you just need a change of scenery. Either way I didn't want to leave my blog for an entire week without telling my dear readers where I had gone, I'll be back home soon and a post on the ridiculous amount of books I packed for this week will be up on Friday. How are you spending this week? Have you ever done anything big with no planning? Loot Crate: September 2014: Galactic! Astrid & Miyu: September Secret Box! My Geek Box: September 2014: Apocalypse! A Sephora Haul from Rome! Fiction Friday: Books I Read in August! 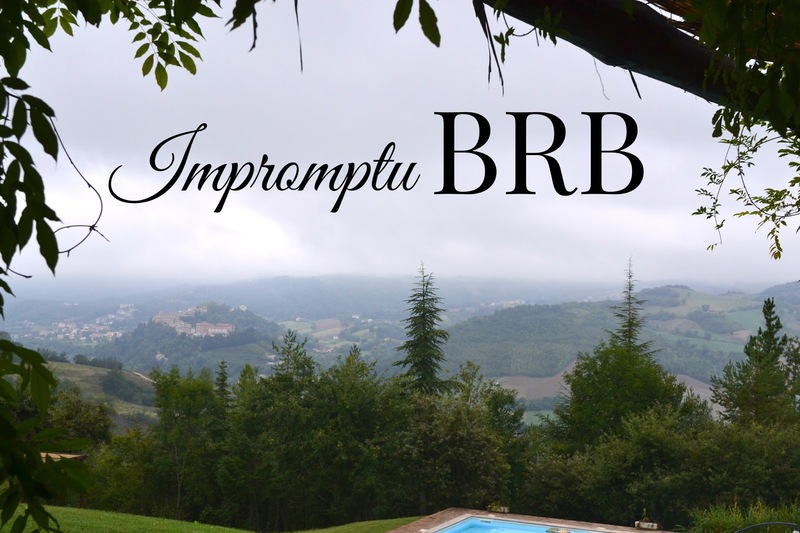 Fiction Friday: Books I Took to Italy!